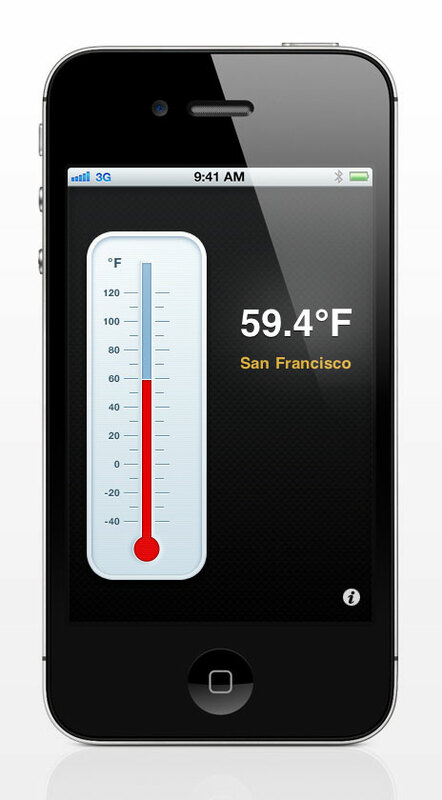 Turn your iPhone / iPod touch into a thermometer and get the current temperature based on your location. 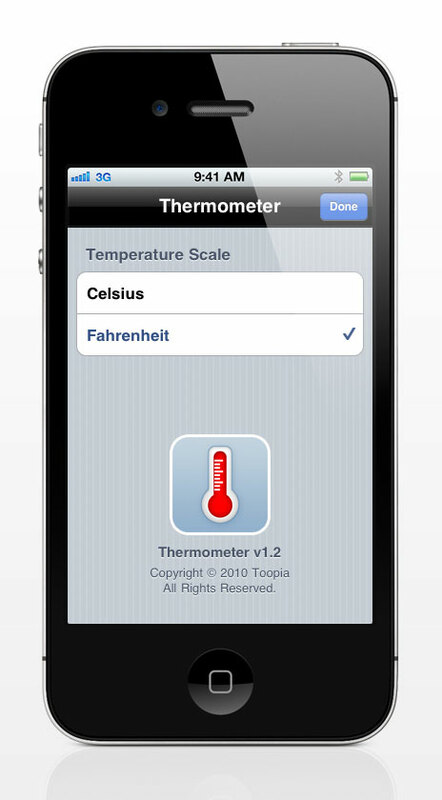 With the internet connected your iPhone is turned into a location based thermometer in either Fahrenheit or Celsius. 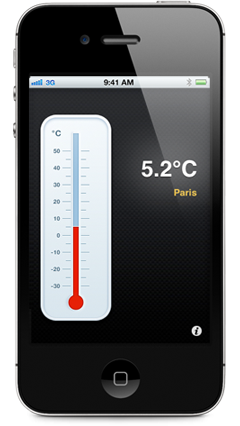 Other than the standard weather app that you find on your iPhone (with pre-set locations), this thermometer will tell you the outside temperature at your present location. You'll know within seconds how cool you really are! Please contact us, we will be happy to answer any questions you may have in relation to the thermometer.